Facebook seems to be the reigning king when it comes to marketing your business online, an email list is still essential. All the contacts you get on Facebook will prove to be valuable, but Facebook is fickle. Hundreds or even thousands of people might be able to see what you post on your business’s Facebook page, but it really just amounts to a few lines of text and maybe an image on a timeline that is full of similar messages. These kinds of contacts are fleeting, while an email list allows you to contact people directly in ways that give you total control of your message and marketing efforts. You aren’t confined to Facebook’s policies and limitations, and people are far more likely to get a message that is sent directly to their inbox. So yes, email marketing and email lists are still vital in this day and age, but that doesn’t mean that Facebook is useless. Far from it. As we said before, Facebook is the reigning king of social media marketing and should never be ignored. 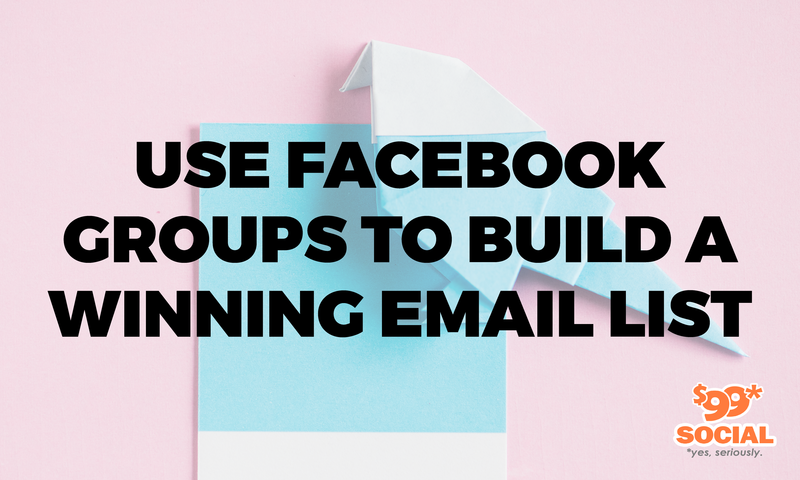 In fact, you can use your business’s Facebook group to grow your own email list and turn temporary contacts into longtime clients. Here’s how to go about that. You’ll be happy to learn that the basic method of building your email list from your Facebook group is relatively straightforward. All you really need is some good email marketing software to really make it work. A good program to use for this technique is ConvertiKit, although there are other programs out there if you prefer to use something else. This will allow you to add a button to your Facebook group’s page that will let visitors subscribe to an email list while creating an email sequence that will hopefully keep subscribers coming back to your business and waiting patiently for your next email. For most email marketing software, all you need to do is add the appropriate plug-in to your Facebook page and configure the email sign-up page to collect email addresses from the appropriate group, but there is still more to do if you want to give users a reason to click through and subscribe to your list. If you’re lucky, you will have people who will be interested enough in your business and products that they will want to sign up for weekly updates in their email inbox. Sadly, few businesses really have this kind of appeal. You need to give your visitors an added incentive to be added to your email list. The best way to do this is to provide them with a free offer for a product that you have, preferably something that you can provide at little cost to yourself. One very popular product that businesses love to provide is a free ebook. 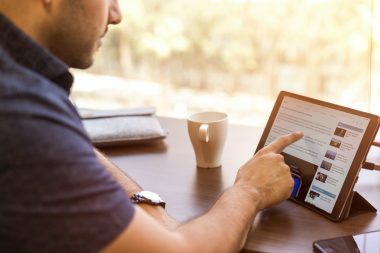 Ebooks can be written quickly, and you might even have enough content for one if you keep a regular blog for your business’s website. You can also provide offers for free webinars, free trial periods for your services, or coupon codes for your products. Anything that can give your subscribers an added incentive to receive weekly emails from you will work. In order to welcome new subscribers to your email list and let them know that signing up was worth their while, you need to create an initial email sequence. These are the emails that will go out to your subscribers. ConvertKit allows you to do this as part of its configuration process, as does most other email marketing software. The first email in the sequence should go out as soon as someone first subscribes to your list. If you offered a free product such as an ebook, this first email should include that as well. The next email in the sequence can come the next day, while the following emails should be sent on a weekly schedule. 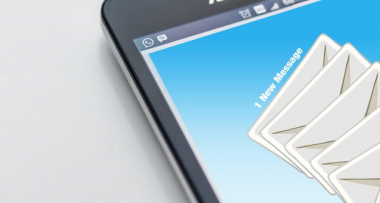 To keep your subscribers waiting for the next email and to prevent them from losing interest and unsubscribe, try to use what some in the industry call the “soap opera sequence,” which has every email end with the promise of another offer or important update in the following email. Once you have emails going out regularly, their goal should be to convince readers to complete some task, whether that is to visit your website for more information or order your products. This is meant to be a marketing campaign, after all. While it is obviously important to allow users to subscribe to your email list from your group’s page, it won’t do you much good if you don’t attract people to your page in the first place. In order to make that happen, take some time to run ads for your group and your business. You can create ads on Facebook easily thanks to the “Create Ad” feature that now appears at the top of your Facebook wall. It should also be said that Facebook shouldn’t be the only way that you can gather email addresses for your list. Similar options and features should be readily available through your business’s main website, which should be updated as frequently as your Facebook group’s page. You can never have too many points of contact when it comes to clients being able to reach you, so think of this as an alternative to your Facebook page. As popular as Facebook is, you can never assume that everyone is on it. Finally, you need to understand that part of keeping your subscribers interested in your regular emails is to make your emails worth reading. Don’t be afraid to get clever and creative with what you have to say. The content and information related to your marketing efforts should always take precedence over witty wordplay, but witty wordplay certainly helps. People should want to read what you have to say for many different reasons, not just because they can get something out of it.